The pattern is fairly easy once you get used to the K1B (knit into the stitch below). It feels like you're doing something wrong by knitting into the bottom and letting the stitch fall off. But once you master the K1B (check out this video), it's just simple knit and purl stitches. 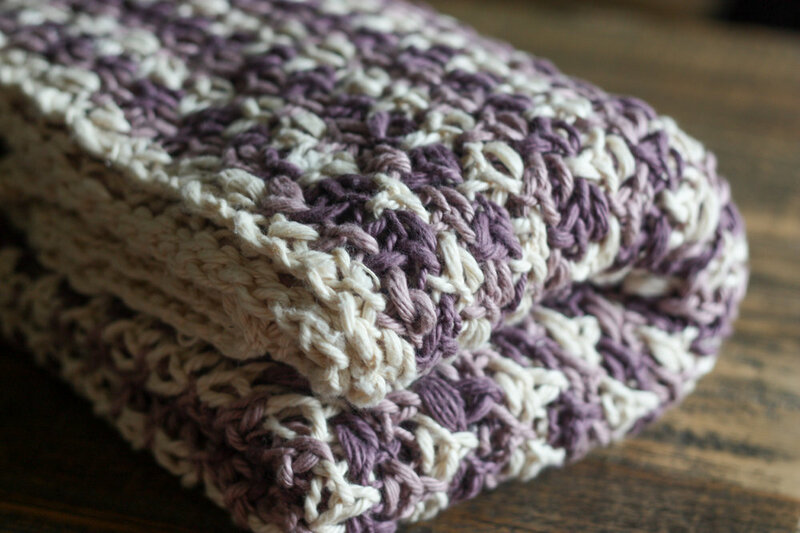 Using bulky yarn means that you can make this blanket fairly quickly. This was my first time knitting with the Knit Picks Billow yarn. Sometimes the Knit Picks colors are a little too bright and bold, but Billow has a lovely color selection with softer colors that pair well together. I also love how incredibly soft this yarn is. It sheds a little while you knit with it, but I would definitely use this yarn again. It would work really well for hats and cowls. As always, I'm happy to answer questions in the comments. Have a wonderful 4th of July weekend and happy knitting!